Sunday morning we finally had our first frost. Cold weather’s been slow in coming this year. 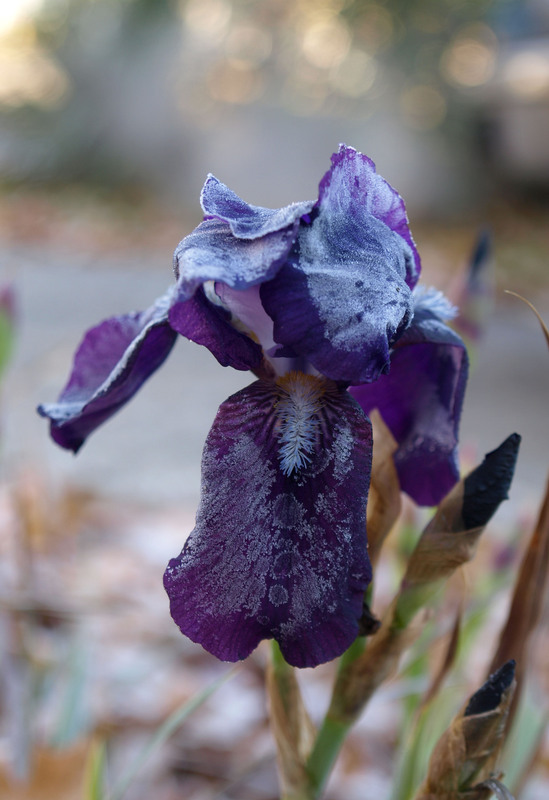 Nearly a week of bright, sunny days in the mid-70s preceded this frost. But most of the leaves are finally down. As they sometimes do, my irises bloomed a second time this year. They tend to put out one last effort before winter if we get a stretch of warm days. But time is short for what still remains in the garden. The burning bush holds to a few last leaves. The hostas have all turned yellow and collapsed. Another day of working out in the yard will erase it all. Then the snows.